A body found in Santa Clara’s Central Park last Friday became a homicide case this week where the victim’s co-worker was ultimately arrested. Now, new court documents unsealed Friday revealed unsettling claims by the suspect. Robert Handa reports. A body found in Santa Clara’s Central Park last Friday became a homicide case this week where the victim’s co-worker was ultimately arrested. Now, new court documents unsealed Friday revealed unsettling claims by the suspect. Police say 54-year-old Raynard Hyde and Safeway co-worker Gage McCartney, 25, bought a bottle of liquor and walked across the street to the park to drink and talk after work, according to court documents. McCartney claimed Hyde made "aggressive sexual advances" until according to Gage, he pushed and punched McCartney numerous times, finally throwing him to the ground and left him unconscious, claims that Hyde’s friends and family are in disbelief about. 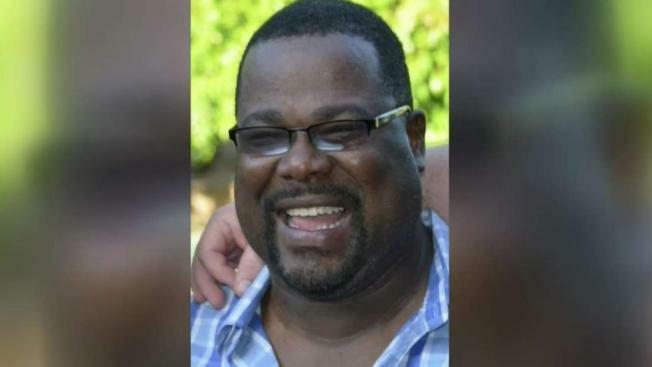 "It was already difficult for our family to find out about the passing, but to find out 'how' has been unbelievable," said Cathedral of Faith Director Kurt Foreman. The District Attorney’s office also reiterated the new information is only McCartney’s assertions and said it will withhold comment until his arraignment Monday, which was delayed Friday due to a health issue. The Cathedral of Faith says its focus is on paying tribute to the man many in the congregation loved. "We’re working with the family to have a big celebration of Ray’s life and that should be coming up in the next week or so," Foreman said.